Star of Broadway, film and TV, recording artist Jake Ehrenreich returns to South Florida with two special performances of his award-winning comedy musical A Jew Grows in Brooklyn 2.0. The New York Times raves "Brooklyn is beautiful, touching and funny -- like Billy Crystals 700 Sundays. Ehrenreich is Dazzling!"" and New York Magazine declares it "Poignant and Hilarious!" From the streets of Brooklyn to the laughter and rebirth of Catskills summers -- loaded with amazing music and side-splitting humor -- this newly minted version of the hit show recreates Jake's unforgettable journey -- now made more famous in his critically acclaimed bestselling book by the Chicken Soup for the Soul publishers. Jake currently appears on the big screen in The Last Laugh with Mel Brooks and Carl Reiner. He is a 2016 inductee into The Brooklyn Jewish Hall of Fame and hosts his new variety show on JBS TV. Audiences and critics can't say enough about this magnificent new version of the record-breaking hit from the heart of Broadway. 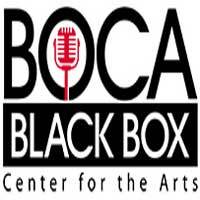 Don't miss seeing Jake Ehrenreich in person at Boca Black Box in Boca Raton.